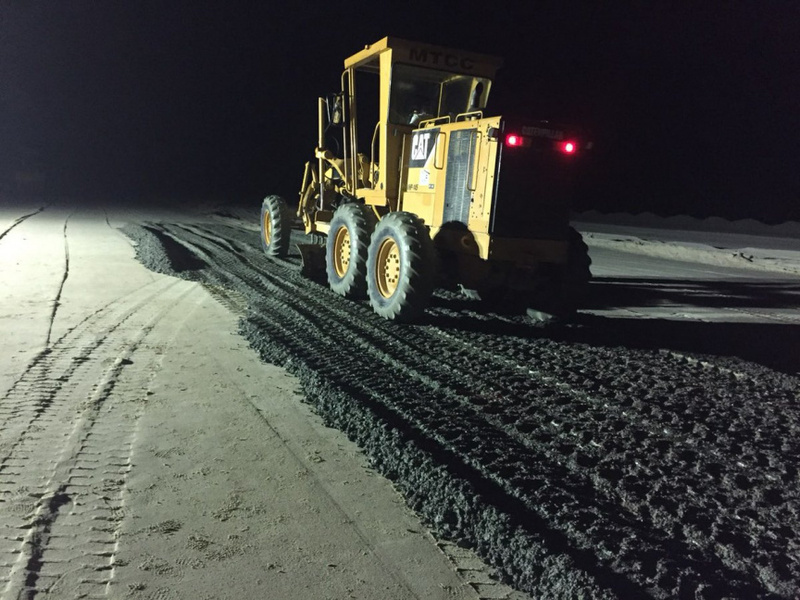 Maldives Transport and Contracting Company (MTCC) has begun the pre-tarmac layer for the runway at the Shaviyani Funadhoo airport. The government funded project was contracted to MTCC saw 21 hectare of land reclaimed from the west side of Funadhoo. After completing the subgrading, the ABC layer before the runway tarmac began tonight according to an official of the MTCC. The two government projects in Funadhoo are the land relcamation for the airport and securing the beach with large gravel. And now, 91 percent of the project has been completed and a 600 meter sea wall has been installed. MTCC is contracted to develop the roads of the island with tarmac.